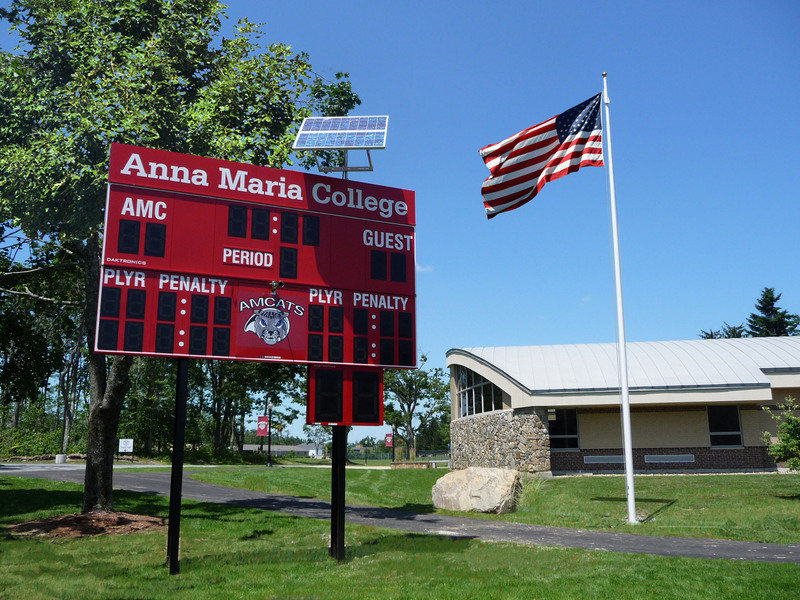 The new synthetic turf field at Anna Maria College is an NCAA regulation sized playing field for multiple sports at the college. With the ultimate goal of seamlessly integrating the new field into the existing land, the field was sited to preserve the existing tree-lined entry drive and minimize impact on the sloping hillside to the east. Warner Larson along with Nitsch Engineering secured the required permitting. The turf is the Duraspine product by FieldTurf with RAD Sports heading up the installation. 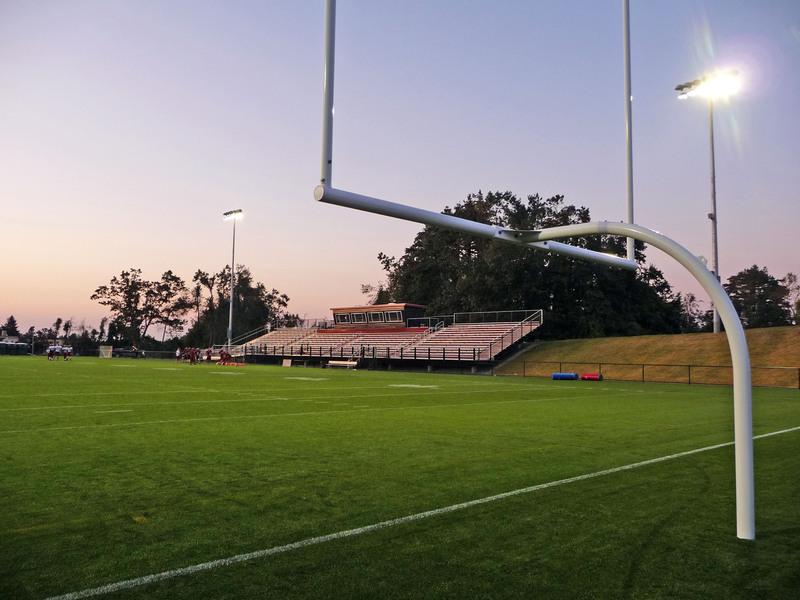 Musco Green Structure sportslighting and new bleachers were added in 2009. 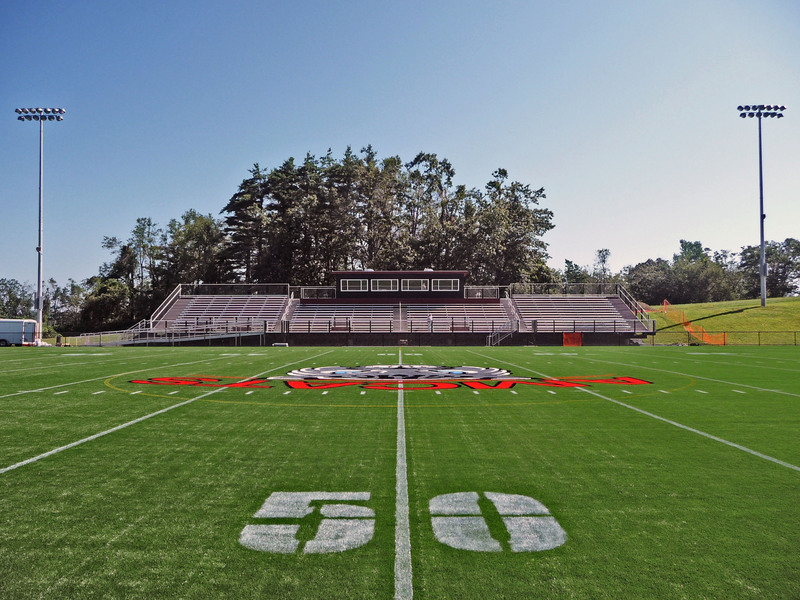 AMCAT Field is a great setting for Division III athletics that will help in our recruiting efforts! I am really pleased with the set-up!